When doing a LS Swap and using A/C you need to integrate the GM pressure sensor so you can bump the idle and operate the cooling fans when your A/C is on. This crimp in fitting will enable the use of a GM Sensor that will send your ECM or PCM the information it needs to operate your Swap properly when the A/C is on. 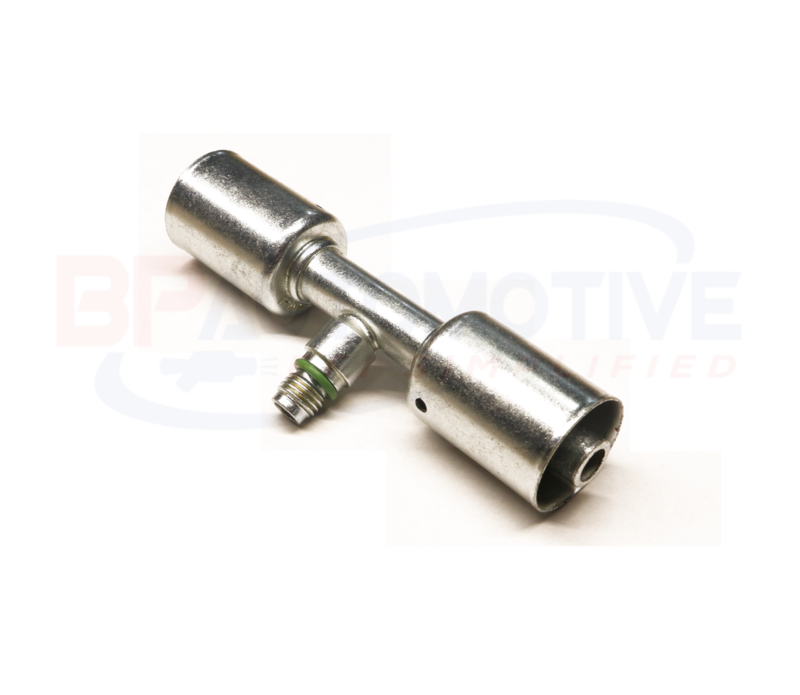 This crimp in fitting has metric threads, and is only for use with the GM A/C Pressure sensor.